Our clinic has undergone several transitions during the last 34 years. At the present time the staff consist of my wife Jackie, and Toni Jackson. Toni is a certified licensed x-ray technician and also assist with insurance, therapy and examinations. 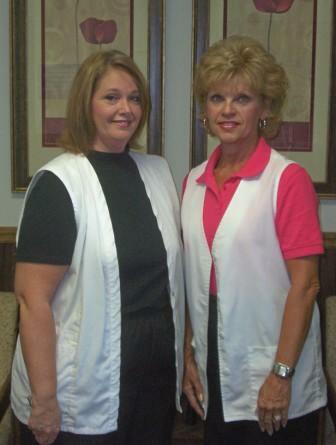 Our staff are excellent caring people that provide many valuable services to our patients. Their cooperative attitudes help our patients to feel relaxed and comfortable, making my job easier in helping our patients achieve a healthier lifestyle. During the past 10 years our treatment protocols have become quite successful. We have tested and treated patients from all over the country as well as several foreign countries. The differences in our services compared to standard chiropractic and medical care is discussed in other sections of our web site. Thank you for taking the time to view our clinic's web site. Norris chiropractic offers a highly professional approach to patient care. We work closely with you to find the best treatment plan specifically designed with your health needs and goals in mind, whether those needs and goals are recovering from an injury, managing chronic pain or health and wellness. We will also work with your other health care providers to give you the best overall care possible. We provide an integrated approach to your therapy needs. We strongly believe chiropractic care is an important aspect of caring for many spinal problems, but we also know the importance of adding the expertise of physical therapy, massage and exercise for a complete program.